Unopened Bride & Groom Hat. 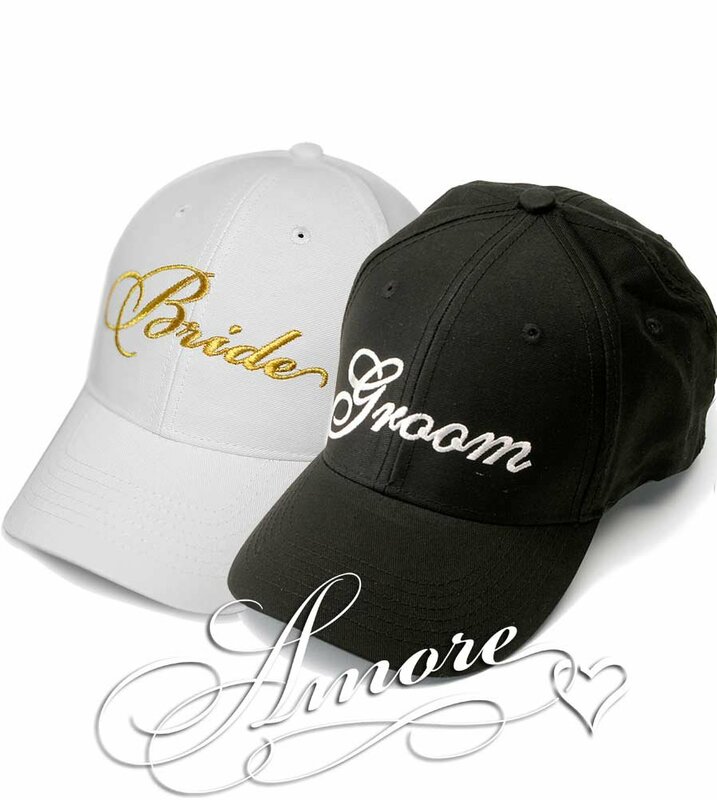 White bride ball cap with gold cursive embroidery. Black grooms hat with white cursive embroidery.